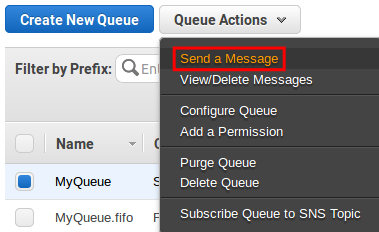 Message timers let you specify an initial invisibility period for a message added to a queue. For example, if you send a message with a 45-second timer, the message isn't visible to consumers for its first 45 seconds in the queue. The default (minimum) invisibility period for a message is 0 seconds. The maximum is 15 minutes. 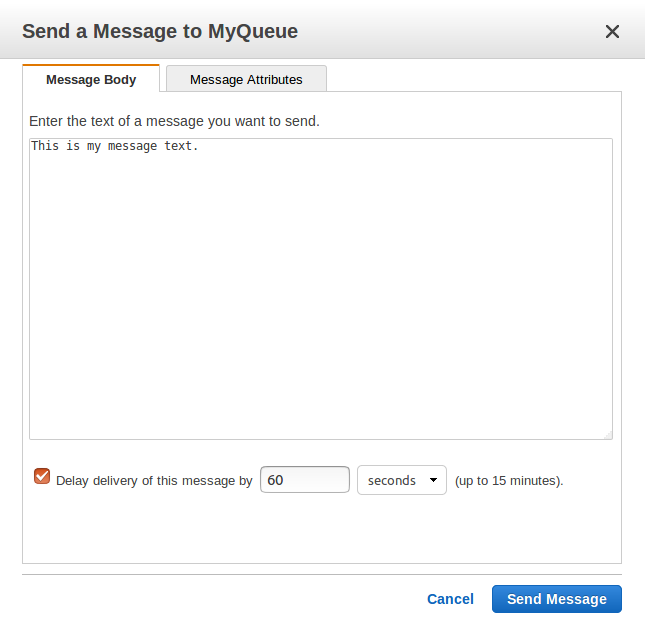 In this tutorial you learn how to send a message with a timer to an existing queue. For more information, see Amazon SQS Message Timers. FIFO queues don't support timers on individual messages. To send a message to a standard queue, type the Message Body, choose Delay delivery of this message by and type a value, for example 60 seconds. Copy the standard queue example program. // Send a message with a 5-second timer. // Wait for 10 seconds.